Another excellent tale of adventure and love from Ms Vorvain. A new protagonist appears in this book, and she seems a bit older, wiser and world weary than Dora in When Dreams Are Calling. The book is set on Tahiti’s sister island Moorea in French Polynesia. 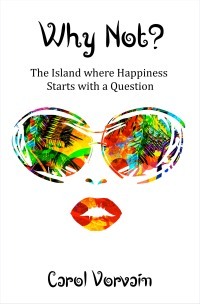 The island, its culture and people, and one particular man teach Vicki, a woman who has been too often jostled with the Western preoccupations with time, money, and possessions, to relax, enjoy life, and to love. As in her first book When Dreams Are Calling, I love Ms Vorvain’s observations on simplicity, life, and love. Excellent second book.